Start relaxing in your beautiful new Peace recliner sooner with our Quick and Easy Shipping Methods. To view any of the amazing leather or fabric types and colors, simply use the pull down menu above, which is titled: "Select Leather or Fabric Type and Color". The price of the Stressless Peace Recliner will change based off of the leather or fabric type and color chosen through the pull down menu. Our Ekornes Authorized Price Reduction Sale is Going on Now! Now is a great time to save $100's on select Ekornes Stressless Recliners & Furniture items. Supply is limited so call 888-486-9463 or click the Chat button (top of page) to learn how your next Stressless Chair can be delivered nationwide with pricing that simply cannot be matched. It's a great time of year to purchase from the amazingly comfortable, Stressless Peace line! This new, modern recliner delivers exquisite head, neck and back support and the over-stuffed smooth, soft, cushioning allows you to sit undeterred for many hours on end. The Stressless Peace recliner is among the most comfortable Stressless recliners available. Make your Stressless Accessory Selection. Remember that some options are available only on certain models. Choose your preferred leather or fabric type and color by selecting from the pull down menu above, which is titled: "Select Leather or Fabric Type and Color. Then choose from the beautiful wood stains. Typically, we have all wood stain colors in stock. The Lowest Pricing is displayed automatically (it's displayed next to the product images, top of page). We are proud to announce the latest information regarding new models, changes, additions, and farewells to the Ekornes Furniture and Stressless Recliners for 2016. This information was just announced and we wanted to bring it to you as quickly as possible. We have new recliners, new models, new changes to old models, new options, new leather colors, discontinuation of some colors, and much more. We always recommend clicking here to check out our latest blog post as our dedicated team posts most of the new information to the blog first. Many of these new changes aren’t even available for delivery yet. We just wanted to make sure and keep you updated as soon as we found out about these exciting changes. Patented Plus System which provides continuous support for your head and lower back. Stressless recliners relax your entire body by providing perfect balance and optimum support. With the Stressless Glide System, you can automatically shift to any seating position by simply using your body weight. The easily-moved ottoman also features the built-in Glide System that adjusts to your body movements for the ultimate in comfort. Stressless Recliners and Accessories are built to last for many, many years. A round base and double-stem support ensure stability. Stressless Recliners are created for a custom fit- Many of these recliners come in three sizes (small, medium or large) and many sofas are available in two sizes (medium or large). 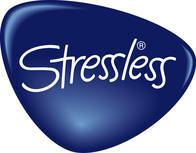 At The Unwind Company, we proudly offer the lowest prices authorized by Ekornes on all Stressless Recliners and Chairs. You save time and money with our Fast Delivery to anywhere in the continental United States (and other parts of North America). We have 1000's of items in stock for immediate shipping. When you choose Unwind, you can relax knowing you saved money and time with the best prices and best customer service. Still have questions or prefer to order via phone? Drop us a line at 888-486-9463 or 1-601-932-5111 (Internationally). Click here to learn more about us or check out our online blog to learn about what’s new and exciting in detail. We are available Monday-Saturday 8am-5pm CST for you to drop our Ekornes Brand Specialists a line at 888-486-9463. They can explain the specifics of each product and help direct you to money-saving opportunities. In an effort to provide you with the quickest and most convenient shipping and delivery options, we offer Fully-Assembled Delivery of Brand-New items right through the front door of your business or home, as our standard level of service. We save time by using the Fastest Shipping Methods available. Our Delivery Options can have Recliners, in stock for Immediate-Shipping, delivered to virtually anywhere in North America in 1-5 business days. There's no need to pay for slow, standard shipping elsewhere when you can get Priority Shipping, standard at Unwind. All of our items are backed by the rock-solid 10 year Manufacturer's Warranty at no additional cost. 10 Year Warranty on Internal Mechanism- Ekornes Guarantees the internal mechanism of its recliners for a period of 10 years from the date of purchase of the product. The 10 Year Guarantee covers the Plus System and the internal metal frame, including the the metal springs and gliding system. It does not cover damage to the leather, woodwork or any faults or damage caused by the use of the product other than in accordance with the manufacturer's recommendations, as well as any faults or damage arising from any repairs made by any persons not authorized by the manufacturer. -5 Year Warranty on the base- The 5 year warranty covers the base for the chair and ottoman, including the swivel ring, gas lift, extensions as well as all foam and interior padding in the chair and ottoman. Also includes electronic parts and motor for LegComfort mechanism and all accessories. Please note that some deformation and indention in padding is considered normal and is part of a break-in process. -2 Year warranty on LegComfort Battery. -1 Year warranty on leather or fabric upholstery- The 1 Year warranty covers the leather or fabric upholstery including stitching and zippered assemblies assuming that the product has been cared and maintained using Ekornes approved guidelines for maintaining leather furniture. *This warranty only protects you when you purchase an Ekornes product from an Ekornes authorized retailer (e.g. The Unwind Company and Unwind.com). This warranty only applies when you have purchased Ekornes Furniture for your own normal indoor use. This warranty does not cover floor samples or products designated "As Is" at the time of purchase. **The Ekornes warranty covers the cost and shipping of replacement parts. Ekornes, the Unwind Company or Unwind.com LLC is not responsible for any other costs incurred while replacing the product, including but not limited to service/repair charges.